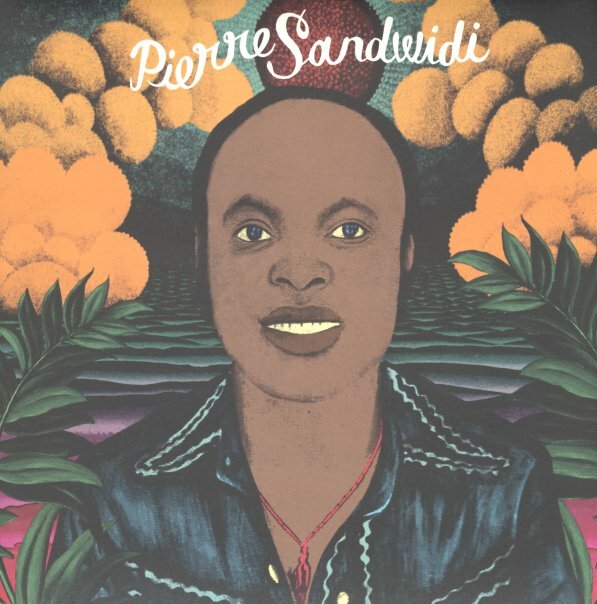 A lost legacy in music from Pierre Sandwidi – a singer from Burkina Faso who had a fair bit to say about the social situation in his West African nation – often working in a mode that was a bit more cut off from mainstream music on the continent, which resulted in a very unique sort of sound! Many of these numbers use evocative keyboard lines and electronics to fill the space that would have been taken up by a larger musical ensemble – doing so in ways that are often surprisingly effective, and not nearly as gimmicky as you might expect – especially when mixed with a few acoustic instruments. Lyrics are all in French, and often highlight Pierre's politics, but mix in a few more humanistic moments – on titles that include "Fils Du Sahel", "Boy Cuisinier", "Je Demande Ma Demission", "Tond Yabramba", "Mam Ti Fou", and "Ouaga Affaires". © 1996-2019, Dusty Groove, Inc.